Save Money: You can send your rental lift back sooner. Job Tough Design: Large pneumatic wheels, heavy gauge steel powder Coated cart and a 9hp Honda gasoline engine provide you with restoration marketplace durability you’ll require. Special Applications: Machine’s unique heavy duty pumping system will Pump the thickest paint strippers. 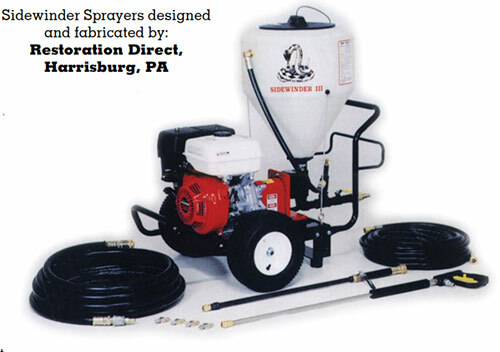 Accessories: Two heavy duty spray guns, 25 & 50 foot lengths of high pressure Hose and four hardened spray tips. Coverage: A 15 or 25 degree fan pattern at 200-400 psi spraying 1-3 gpm. Quote to Win: Spray up to 5,000 square feet per day with equipment designed for professionals. Competitors brush apply.